How are the homeless faring, so far? But some people who [are] on the streets still plan to stay out in the arctic conditions. At a tent city on the southwest side of Chicago, George Arroyo told Fox News on Tuesday it was better to stay in his tent than go off to a shelter. Arroyo told Fox News’ Mike Tobin he had extra heaters in case the main heating supply in his tent goes out. This guy sounds like he has his act together. 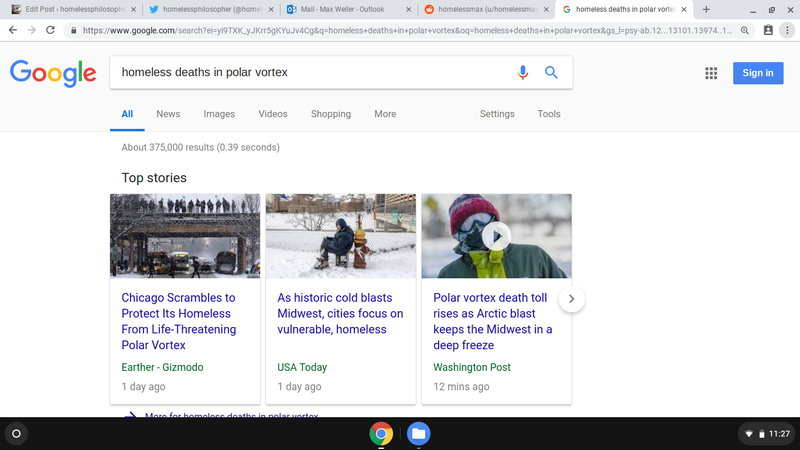 This entry was posted in Homelessness, Politics and tagged homeless deaths in polar vortex on January 31, 2019 by homelessphilosopher. 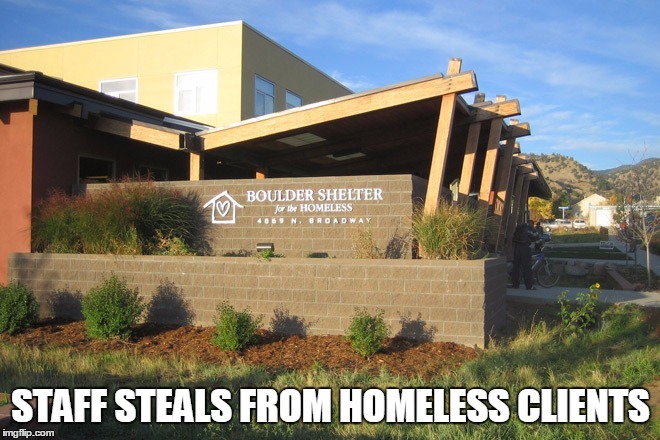 This entry was posted in Homelessness, Only in Boulder, Politics and tagged Boulder Shelter for the Homeless on January 31, 2019 by homelessphilosopher. 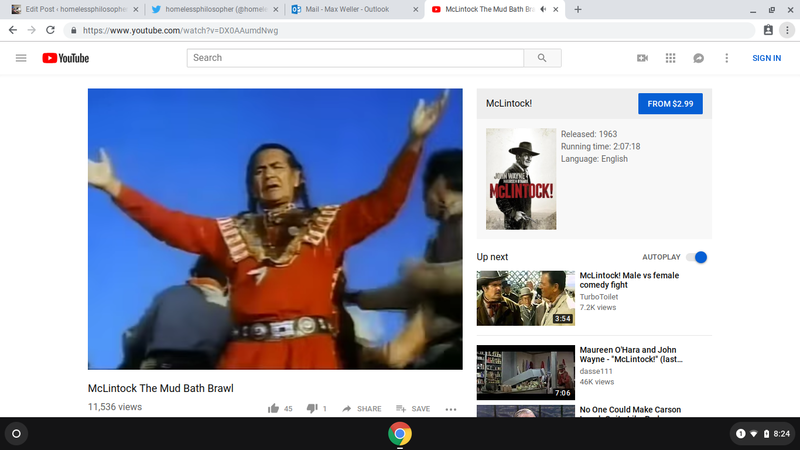 This entry was posted in Politics on January 31, 2019 by homelessphilosopher. Seems like nobody has any sense of humor these days, and we’re all poorer for it. Comment from discussion homelessmax’s comment from discussion "Homeless with 4 kids + a wife. Need advice for a city meeting on "fixing the homeless situation"". This entry was posted in Homelessness, Only in Boulder, Politics on January 31, 2019 by homelessphilosopher. Boulder has a Media Whore do-gooder problem! As in characters like Darren O’Connor, who has never been homeless himself nor shown any original thought in addressing the issue, exploiting a vulnerable population for cheap publicity. This entry was posted in Homelessness, Only in Boulder, Politics and tagged Boulder Rights Watch a.k.a. Darren O'Connor Watch on January 30, 2019 by homelessphilosopher. Comment from discussion homelessmax’s comment from discussion "What does Boulder need?". NOT endorsed by the posers at Boulder Rights Watch a.k.a. Darren O’Connor Watch.